incorporating all aspects of instrumental and musical instruction. The preparation for ensemble playing is an additional bonus and a potential enrichment of any lesson. 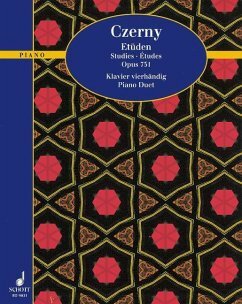 Etüden op.751, für Klavier (4-händig) bei Amazon. Eingetragen in der Kategorie Klavier; Stichwort(e): Mainz, PF, Piano, Schott Music.